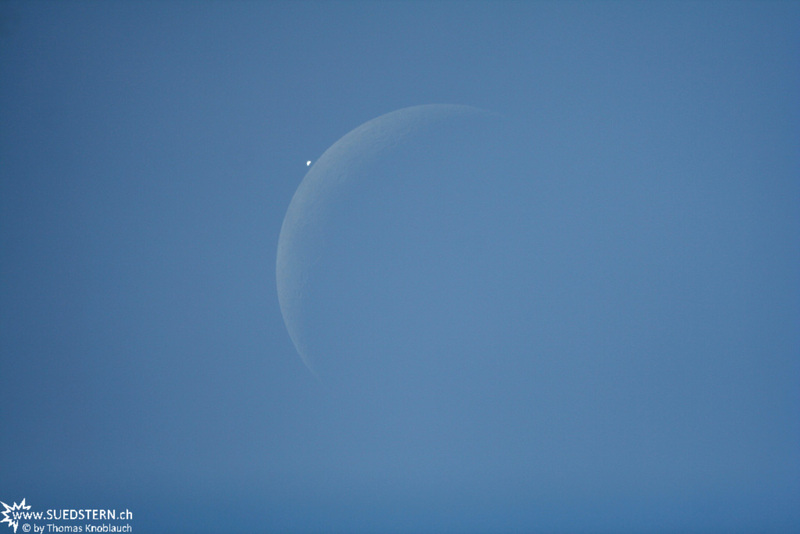 Description: Venus has been occulted by the moon. This image has been taken on June the 18th 2007 17:41:08 with a Canon 350d attached on a Skywatcher 8" Newton. A Meade LXD-75 Mounting has been used.